With my continuous pursuit to improve my art skills, I will enter the world of ‘digital art’. The above photos are my ‘amateur’ pro-bono job for a designer who is not adept in the computer. 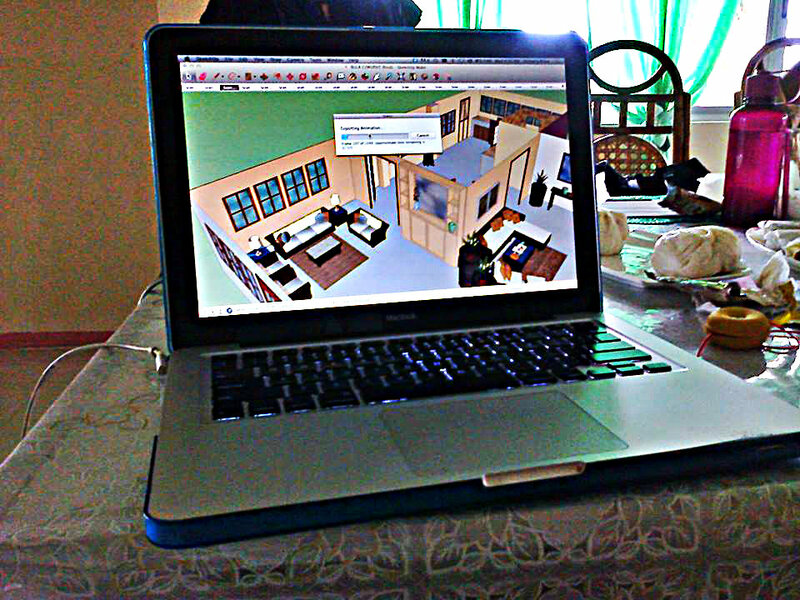 My first exposure to this is when I was asked to render the designer’s pencil sketches of interior decorating plans into 3D/2D using Google SketchUp as requested by clients. I studied the computer software for a day and when I got the basics, I started working on the project. Clients these days would appreciate computer-generated designs/plans so that they could project the look of it. I actually liked the feel of it. Being in the same table with designers and them talking to me about the project, felt soooo ‘legit’. Eventually however, when an architect joined the table, I was overthrown by his expertise. **facepalm** But I love the architect’s scrutiny on my work … for an amateur to learn for a day what he studied for years, I can truly accept his comments coupled with raised eyebrow! yay. Even in computers, I still work as in scratch papers! ha ha .So … I’ll be attending a class this month with Adobe Photoshop and 3D Max. Who else wanted me to enrol? That same designer I first worked with, despite the first try, she still wants my services! Welcome to the ‘Digital Art World’, where scratch papers do not belong, do they?